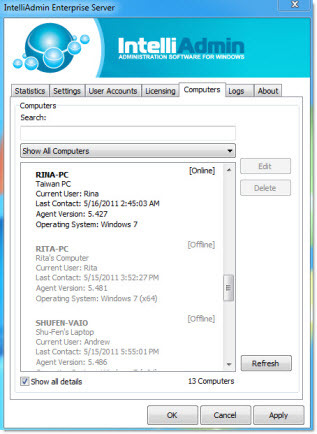 Enterprise remote control allows you to connect to computers from anywhere. Enterprise Remote Control allows you to connect to machines anywhere You need to support computers across your company, no matter how far they get from you. Enterprise Remote Control puts you in control. No third party servers, no monthly fees. Save Time Built to work around firewalls. The Enterprise Server performs calculations on each connection to find the most efficient route.